There were about 1.9 million business addresses in England and Wales in 1994, each on average occupying about 650 m2 of building floor area. Total floor area is increasing at about 2 per cent per year. Building turnover (demolition and replacement) is somewhat higher than for dwellings, so the potential for energy performance improvement year on year for the stock as a whole is somewhat better. In 2000, the emissions of carbon from these buildings amounted to around 21 million tonnes, which is about 20 per cent of the national total. 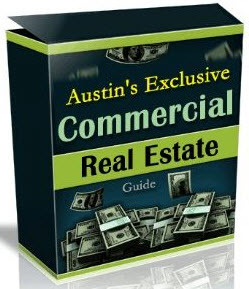 Offices, shops, hotels, industrial buildings and schools are the largest contributors. The vacancy and under-utilization of many commercial buildings is indicative of an oversupply problem. Property analysts have shown that reckless over-investment in property was a major factor in several macro-economic crises. For example, several major financial crises such as the Savings and Loans scandal in the USA in the early 1980s; the UK property crash in 1992; and, the global economic crisis of the mid-1990s precipitated by the monetary problems in Asia. According to some economists all of these financial slumps share a common cause: they spring from the momentum of markets outstripping economic realities. In other words, these economic crises all have their roots in prices over-reaching values. As a result of these financial crises of the 1990s, funding for property investments is now on a different basis. Investors are more cautious. Widespread, bold speculative developments in property are less common. The assumption that property will always be a good investment because of demand is no longer tenable. Instead, property development is usually restricted now to schemes involving either pre-letting or bespoke developments.